Jane Fonda, a two-time Academy Award®-winner, three-time Golden Globe®-winner, and 2017 Emmy® nominee (for her role in Grace and Frankie) will be honored by Cinema/Chicago later this month. A Tribute to Jane Fonda takes place on Saturday, July 29 at the Radisson Blu Aqua Hotel Chicago and will feature an on-stage conversation with Fonda, moderated by Richard Roeper of WFLD/Chicago Sun-Times, giving insight into her experience and approach to her craft, accompanied by iconic clips from her illustrious career. The celebratory evening will culminate with the presentation of The Chicago International Film Festival’s Gold Hugo Career Achievement Award to Fonda for her contributions to both film and television, followed by an after-party. Corbin Horn added, “Jane Fonda is fabulous—there's no other word to use. She has already been an inspiration for fifty years, and then along comes Grace and Frankie, and Jane is more enthralling than ever. We are watching someone electric, at the apex of her career, and at the top of her life." In addition to lead sponsor SAGE Private Wealth Group, evening partners include American Airlines, Sound Investment AV; reception partners are Chloe Wine Collection and Wansas Tequila. Additional support is provided by Park Hyatt Chicago, Debi Lilly-A Perfect Event, Windy City Times and Chicago Magazine. Proceeds from the event will benefit the expansion of Cinema/Chicago’s year-round Education Program. The program provides free film screenings to more than 7,000 Chicago Public School students annually through twice monthly screenings during the school year, daily screenings during the Chicago International Film Festival and curriculum support and study guides for educators. The expanded program will include an in-school film program. Our Education Program also includes the annual CineYouth Festival, a three-day competitive international film festival dedicated to showcasing the talent of the next generation of filmmakers, twenty-two years old and younger every May and our Student Film Council for Chicagoland high school students with a passion for cinema. The Film Council meets monthly throughout the academic year to explore Chicago’s thriving film community. Jane Fonda was born in New York City in 1937, the daughter of Henry Fonda and Frances Seymour Fonda. She attended the Emma Willard School in Troy, NY, and Vassar College. In her early twenties, Fonda studied with renowned acting coach Lee Strasberg and became a member of the Actors Studio in New York. Fonda is a two- time Academy Award®-winner (Best Actress in 1971 for Klute and in 1978 for Coming Home), a three-time Golden Globe® winner and was the 2014 recipient of the AFI Life Achievement Award. Along with starring roles in dozens of highly acclaimed productions, Fonda also took on responsibilities as a film and television producer. Her credits include Coming Home, The China Syndrome, Nine to Five, Rollover, On Golden Pond, The Morning After and The Dealmaker. In 2007, Fonda received an Honorary Palme d’Or from the Cannes Film Festival, one of only three people ever to be granted this honor until then. In 2009, she received a Tony Award nomination for her role in Moisés Kaufman’s 33 Variations on Broadway. Fonda revolutionized the fitness industry with the release of Jane Fonda’s Workout in 1982. She followed with the production of 23 home exercise videos, 13 audio recordings and seven bestselling books, selling 17 million copies all together. The original Jane Fonda’s Workout video remains the top grossing home video of all time. In 2011, Fonda appeared in Et Si On Vivait Tous Ensemble, a French comedy, followed by Peace, Love & Misunderstanding, co-starring Catherine Keener. She appeared as Nancy Reagan in Lee Daniels’ The Butler in 2013, and with Olivia Wilde and Sam Rockwell in Better Living Through Chemistry. In 2014, she starred in director Shawn Levy’s This is Where I Leave You, with Tina Fey and Jason Bateman. For three seasons Fonda appeared as media mogul Leona Lansing in Aaron Sorkin’s The Newsroom on HBO of which she received an Emmy nomination. Most recently, she appeared in Youth, written and directed by Paolo Sorrentino (director and co-writer of Italy's Academy Award®-winning Best Foreign Language Film The Great Beauty). She received a Golden Globe® nomination for her performance. Fonda currently stars in Netflix’s hit series, Grace and Frankie, which premiered its third season in April 2017. She also stars in Netflix’s upcoming theatrical feature film Our Souls at Night, opposite Robert Redford, which will be released in November 2017. Cinema/Chicago’s Tribute to Jane Fonda takes place Saturday, July 29, beginning at 6:30 p.m. at the Radisson Blu Aqua Hotel Chicago. To purchase tickets (starting at $200) or for more information visit: www.chicagofilmfestival.com. Since our launch in 2011, SAGE Private Wealth Group has grown to become the largest Raymond James Financial Services office for assets under management (AUM) in the state of Illinois (based on client assets). Our team of advisors provide a fiduciary standard of care and a full Wealth Management strategy to private clients. SAGE Private Wealth Group has four Chicagoland area offices: Downtown Chicago (N. Michigan Ave.), Oakbrook Terrace, Park Ridge and St. Charles. To the well-evolved individual, wealth is more than just about accumulating assets. It's what connects you to the pursuits, people and causes you care about most. We further this sentiment not just by managing and preserving your wealth, but by donating a dime of every dollar of our profit to our own foundation, SAGE Private Wealth Group Foundation. Visit us online at www.SAGEprivatewealth.com to learn more. Securities offered through Raymond James Financial Services, Inc. Member FINRA/SIPC. Investment advisory services offered through Raymond James Financial Services Advisors, Inc. and SAGE Private Wealth Group. SAGE Private Wealth Group is not a registered broker/dealer and is independent of Raymond James Financial Services. Raymond James is not affiliated with and does not endorse the opinions or services of Lauren Robishaw, Corbin Horn, Jane Fonda, Cinema/Chicago, or Leslie Hindman Auctioneers. Cinema/Chicago, the parent organization of the Chicago International Film Festival, is a year- round non-profit arts and education organization dedicated to fostering better communication between people of diverse cultures through the art of film and the moving image. 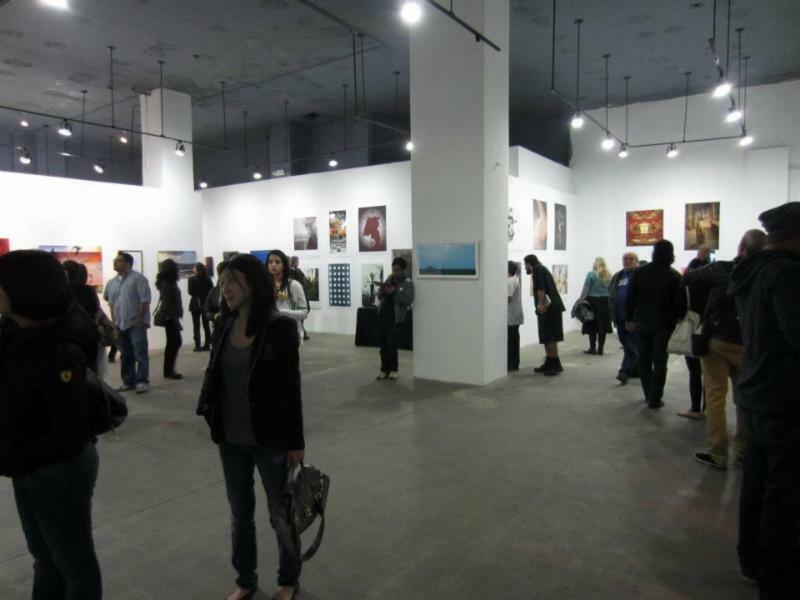 Year-round programs include the Chicago International Film Festival, the Chicago International Television Festival, CineYouth Festival, International Screenings Program, and Education Program. For more information visit chicagofilmfestival.com. Skrite, the first app empowering users to create their own AR by leaving virtual messages in the sky, launched today—giving users the opportunity to ‘own the sky’. It is the the first app to offer user-generated AR in a space historically dominated by coders and developers—everyday users can use the app to create their own messages and explore others in the sky around them. "We wanted to bring AR to the people," explained company CEO and co-founder Rishab Jain. "Casual users shouldn't feel augmented reality is off-limits because it seems too complicated or inaccessible. With the right interface, it's simple to use and is a fantastic way to explore the space around you." Skrites—the pieces of content, users upload to the sky—can only be created in a user's current location. Skrites are created in zones, with a maximum of 25 Skrites allowed per zone . The first user to create a Skrite in a zone gets that zone named after them. Jain says, "This allows users to virtually own a piece of the sky, whether it be the airspace above their home, business, or any location that brings value to larger companies that can potentially use this space for advertising." To explore the sky around them, users simply need to tilt their phone upwards. They can then see the public Skrites people have left around them, or even the private Skrites their friends have left for them. But users don't have to just explore the sky above where they're standing. Skrite offers an 'augmented reality teleportation' experience. Users can connect with people throughout the world and see a 360 degree view of the city around them—including unique content created by individuals living in that city—creating a unique blend of augmented and virtual reality. "Skrite lets you travel without leaving your home through augmented reality teleportation," says Dr. Arshia Siddique, COO and co-founder of Skrite. "It allows you to experience the places you've always wanted to go from the perspective of other travelers, or even from locals who pass through it every day." Offering a new way to explore the world with accessible augmented reality, Skrite is a fun and innovative alternative to stale social networks like Facebook and Snapchat. It's the Pokemon Go-meets-social-network we didn't know we've been waiting for. Skrite is an augmented reality social network that lets users upload pictures, selfies, messages, text or drawings in the sky forever. Once a Skrite is created, users can interact with it by sending it a Bolt (a like), or by sharing it on their social networks. In addition, Skrites can be either private or public—leave your message in the sky for all to see, or send a private message to a friend. Add other Skyers (friends) by searching by their username or importing your contacts. The sky's not the limit, in fact, it is a barrier that must be broken. Explore your world in a completely new way with Skrite. Restaurants interested in participating please email Melinda at melinda@macandcheesechicago.com. 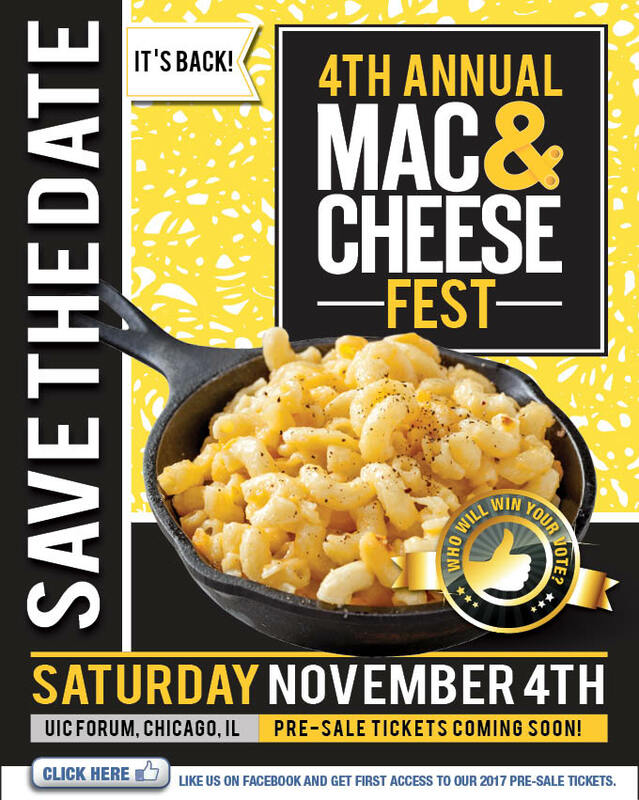 Sponsorship inquiries please contact Cece at cece@macandcheesechicago.com. Gene Simmons & Paul Stanley of KISS to Expand Rock & Brews Restaurants to Greater Chicago! Rock & Brews, the family-friendly restaurant and entertainment brand that was in part founded by KISS front men Paul Stanley and Gene Simmons, made a major commitment to Greater Chicagoland today, announcing plans to open 10 to 15 new corporate-owned restaurants in the area, as well as a corporate hub that will focus on continued U.S. expansion. Rock & Brews was recently recognized as #16 on Entrepreneur Magazine’s 2017 Top New Franchises list; Restaurant Business Magazine’s 2017 Top 500 list and one of the top rank-jumping brands since 2016; regional winner of The Airport Food & Beverage (FAB) Conference & Awards “Airport Bar of the Year” for their Terminal 1 location at the Los Angeles International Airport; and Nation’s Restaurant News’ “The Next 20”, which is a list of restaurant chains best positioned to enter the Top 200 chains in the United States. The brand is poised for significant growth. “Having a 40 plus year relationship with Greater Chicagoland, we were determined not only to bring Rock & Brews, but to do it at the right time with the right team. We are at the forefront of our next wave of Rock & Brews’ expansion, and Chi-Town is the ideal location for our new corporate hub,” said Stanley and Simmons in a joint statement. “Chicagoans are passionate about rock and roll, and the city is rich with rock history. Over the years, our devoted fans in the region have been very good to us. We are looking forward to spending more time there, with our commitment to open company-owned restaurants and a second corporate headquarters." Rock& Brews presently has over 20 locations including two at the Los Angeles International Airport as well as arena and casino locations, with more scheduled to open this year. The first Rock & Brews in Chicago will open in 2018. The location remains undisclosed, with several lease options in consideration. Rock & Brews is a one-of-a-kind, rock-inspired restaurant and entertainment concept designed to engage people of all ages with quality comfort food and local favorites, a broad selection of craft and international beers, and an energized environment that is reminiscent of being at a family-friendly music event. Founded by KISS front men Paul Stanley and Gene Simmons, along with restauranteur/hotelier Michael Zislis and concert industry veterans Dave and Dell Furano, the first Rock & Brews opened in Los Angeles in 2012. Today, the brand has neighborhood, airport, arena and casino restaurant locations, and recently announced plans to develop the first Rock & Brews Casino Resort in partnership with Kaw Gaming, Inc. Restaurant industry veteran Mike “Sully” Sullivan serves as President and CEO. Each location boasts a “Great Wall of Rock,” iconic rock art, concert trusses and lighting and multiple flat screens sharing some of the greatest rock concert moments of all time. Most offer a play area for kids and many are dog friendly. For more information, please visit www.rockandbrews.com. July, 2017 - Author of Split Seconds Havana, Abe Kogan is an international entrepreneur, businessman, writer, photographer, ex Formula One racing driver, and film producer. His latest film, Matra Racing/The Rebirth, directed by Christian Dixon, is now on worldwide circulation. His new photojournalism book Split Seconds Havana is being followed by more photo books of key cities. He has strong views on history repeating itself and why civilizations and more evolve and change. He is on a mission to photo journalise a sequence of cities, each for their particular attributes and his personal reasons. Split Seconds Havana is the first book in the series, soon to be followed by Florence, Jakarta, Hong Kong, Tokyo, New York, Los Angeles, Delhi, London, Paris, and Monaco. They will become a valuable historic collection. Abe Kogan’s Split Seconds Havana with its collection of black and white photographs is the recipient of the 2017 Gold Medal in the category of photography from the Independent Publisher (IPPY) Book Awards. Fascinated by time, change, and the illusions and trickery of time and change, Kogan realized that Havana qualified as a point in time and space. Simultaneously, he recognized that the forces that imply transformation do not guarantee it, even though bets were on that Havana was set to change in a big way. Jackson Browne will perform for Veterans for Peace. America’s only Vet organization fighting to end all war hold first convention in Chicago. Chicago’s“ Acres to Miles,” “Maggie Brown” and national Blues artist “Watermelon Slim” will perform at The Vic. The nation’s only veteran organization fully dedicated to abolish all war, Veterans for Peace, is hosting their first Chicago Convention and Music Festival August 9th-13th, 2017 at the Palmer House Hilton Hotel (17 E. Monroe Street). Now in its 32nd year, Veterans for Peace convention is themed “Education Not Militarization”, and will host a public Veterans Town Hall with the same name on Thursday, August 10th at 7 p.m. (First United Methodist Church, 77 W Washington St # 2, Chicago, IL 60602). Veterans will discuss how increased militarization and inadequate education impact immigration, violence, sexism, the environment, policing and the social and psychological well-being of our neighborhoods. They are also presenting their very first music festival, “Power to Peace Festival” at The Vic Theatre (3145 N. Sheffield Ave) on Friday August 11th at 6pm. Closing night for the Convention includes a special performance and benefit for Veterans for Peace by Jackson Browne, Sunday, August 13th at Copernicus Theatre (5216 W. Lawrence Ave), 7:30pm. Veterans for Peace, an international organization of military veterans of all ages will host workshops, panels, present speakers, host a banquet, present film screenings and provide musical entertainment. Their mission since 1985 is to build a new culture of peace, expose the costs of war, heal the wounds of war, seek justice for veterans and victims of war and end the arms race, reduce and eventually end nuclear weapons. “We are excited to be traveling to Chicago, to join our local chapter, in hosting our convention. Chicago has a rich history of political activism and the opportunity to build on what the local chapter has been doing around linking struggles abroad and at home. As veterans, we know that the cost of war has lasting implications for our communities and our neighborhoods,” says Michael McPhearson, Executive Director of Veterans For Peace. National Board Advisories of Veterans for Peace include activists and former veterans-turned celebrities: Yoko Ono, actor Ed Asner (Lou Grant) Director Oliver Stone, musician Jackson Browne, Ralph Nadar, among others. Col. Lawrence Wilkerson, retired U.S. Army Colonel and former Chief of Staff to U.S. secretary of State Colin Powell. Captain Paul K. Chappell, Iraq War veteran, a published author with a Peace Book series, lecturer, college teacher on Peace Leadership and the Director of Nuclear Age Peace Foundation. Rev. Lennox Yearwood, Jr. is a minister and community activist who is also an influential member of political hip hop. Yearwood currently serves as President of the Hip Hop Caucus, a national nonprofit, nonpartisan organization that empowers young people to participate in elections, policymaking and service projects. A night of musical and cultural exchange will take place by former Veteran musicians, poets, Chicago bands and DJs at the Festival. Among the talent include Chicago’s jazz singer Maggie Brown; alternative rock band, Acres to Miles; DJ Dapper; Oklahoma’s national blues star, Watermelon Slim; Indiana’s pop-singer Kaylee Shahira; former veterans-turned musicians: James Toler, the UK’s Jim Radford; rap/hip hop performers Megacciph and Brittney Chantele. There will also be a Poetry Cipher by three female veterans: Sarah Mess, Norma Mahns, and Brittney Chantele. The documentary films that will be screenings are: Beyond the Divide, a story about the political and emotional divides between active duty soldiers in Vietnam and the burgeoning peace community at home in the United States; A Bold Peace, the story of Costa Rica’s 68-year victory to abolish their military; and Three Tours documentary on three U.S. vets returning from Iraq, who work to heal their wounds and battle with PTSD. Enter to win a FUJIFILM X100F Camera, X-A3 Camera and Lens Kit or an INSTAX SQUARE SQ10! See our website for details. Audrey Hepburn & Eva Gabor Lived Here! NOW CASTING: Bachelor & Bachelorette parties! Jacqueline Kennedy's Childhood Home Is For Sale!